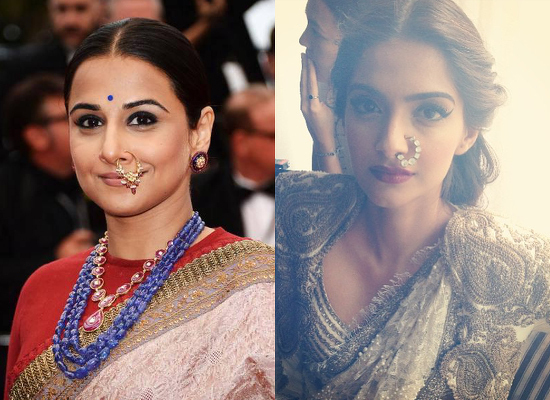 Vidya or Sonam: Who wears the ‘nose-ring’ better at Cannes 2013? 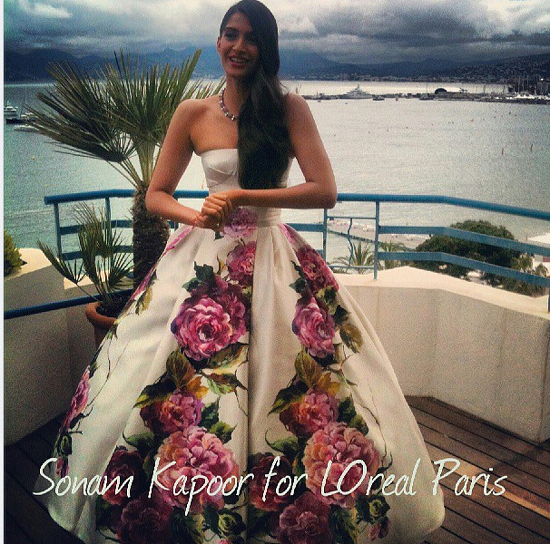 Bollywood beauties Vidya Balan and Sonam Kapoor are making waves with their fashion statements at the on-going Cannes Film Festival 2013. The actresses were spotted wearing ‘nathni’ or nose rings for their respective red carpet appearances. While Sonam wore a round nath for her appearance on Day 1 of the Cannes Film Festival, Vidya wore a Maharashtrian style nose-ring on Day 2. If you ask us, they both could have done better without the nath or maybe they could have opted for smaller nose-rings. The ones they are wearing look too big for their faces. So who do you think wears this better? Vidya Balan on Sonam Kapoor? Vote! Who wears the nose-ring better at Cannes 2013?